If you do not have a AgriTechTomorrow partner account, please register - it's free! Ridding rail tracks of weeds is essential to safety, and finding an alternative might not be simple. Specialist operator Weedfree on Track has been combatting weed problems for over half a century. The phasing out of glyphosate Europe-wide has been greeted with delight by many concerned about its health ramifications. But with the prospect of finding alternatives to ensure areas remain safely free of weeds, those in industries such as agriculture are anxious about how they will adapt. Here, we’ll discuss why the substance was banned and how it could have an impact on professional sectors across the continent. How long have we used glyphosate? Although many who are not involved with certain industries may not have heard of it, glyphosate has actually been around since 1974 when it was brought out by Monsanto. Originally called ‘Roundup’, it fast became an important product for farmers to help kill weeds and boost productivity. Due to it being commonly sold, glyphosate-based formulations are now also used in: agriculture, forestry, aquatic environments, streets, parks, and schools. Why is it being banned? In October 2017, following many debates, the European Parliament finally called for a ban of glyphosate with a view to phase it out by mid-December 2022. For many years, scientists have warned people against glyphosate, however, it’s taken a two-year debate for the European Parliament to vote 355 to 204 in favour of its ban. Now, measures must be adopted to phase out the use of glyphosate across the entire EU. However, it’s worth remembering that this was a non-binding vote. Members of the European Union and European Commission are now obligated to stop the use of glyphosate on farms, in public parks, and in households whenever other biological pest control systems are available. How reliant are we on glyphosate? Many people won’t have even heard of glyphosate, but it’s actually a massive part of various professional industries. According to research from the Soil Association, the use of glyphosate in UK farming has increased by 400% over the past 20 years. The Guardian has also reported that there has almost been enough of the herbicide sprayed since its creation that it would cover every cultivable acre of Earth. Recently, glyphosate was discovered in: bread, biscuits, cereals, crackers, and crisps. The greatest concern with glyphosate is in relation to food. Of course, a herbicide is never going to benefit human health if ingested, but it’s the cross-contamination factor that has caused its ban. 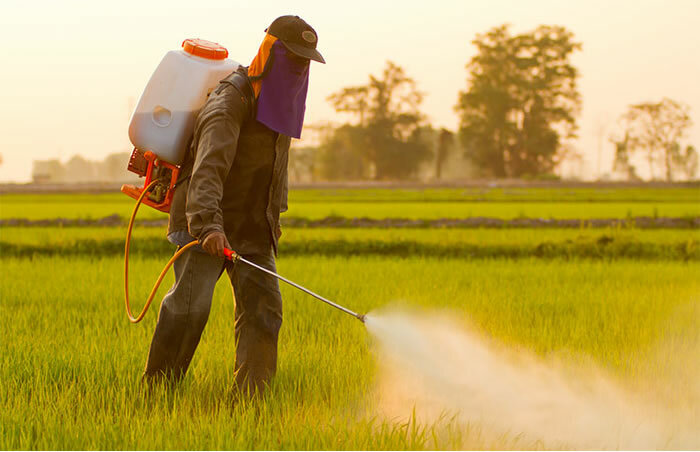 Fears have long been raised that the herbicide is a hormone disrupter that is linked to birth defects, the development of cancerous tumours and other developmental disorders. Some scientists have also argued that there is no safe lower level for human consumption. The agricultural and food industries are likely to be two of the worst-hit sectors after 2022. However, there are other areas of commerce that also rely on glyphosate. Weeds that are left unchecked can significantly restrict track visibility, track access for workers and possibly even render a line impassable in severe cases across Europe’s railways. maxon motor's - Compact power for your motion control application. maxon launches the next generation of positioning controllers - the EPOS4. A high performance module with detachable pin headers and two different power ratings. With a connector board, the modules can be combined into a ready-to-install compact solution. Suitable for efficient and dynamic control of brushed and brushless DC motors with Hall sensors and encoders up to 750 W continuous power and 1500 W peak power. The modular concept also provides for a wide variety of expansion options with Ethernet-based interfaces, such as EtherCAT or absolute rotary encoders.